Beautiful ECO Spacious 1 1/2 Bedroom plus studio 1 Block to Beach!! Artist Decorated Spacious Environmentally Healthy Home! This apartment is available from October through February only. 2 Blocks to Trendy Abott Kinney's Fine Dining, Bars and Boutiques, 3 Blocks to World Famous Gold's Gym. Want to eat Organically? There are 4 Farmer's Markets located within 1 1/2 miles. We clean with all Earth Friendly Cleansers. Orange Peel Termite control, no pesticides here! Organic Sheets and towels provided. Just installed new Advanced Reverse Osmosis Water Filter. New Shower Filter's for Healthy Bathing. Bamboo Floors. Beach Chairs, towels, umbrella, cooler, and Boogie Board provided. New 32' Flat Screen TV. Huge 170 square foot deck plus 80 square foot self contained studio with sleeping loft 900 square feet inside 1 assigned parking space. 2005 Toyota Prius available for $900 month for 1000 miles per month. .30 cents per mile over 1000 miles. Very artistic and has a really cool Round Organic Bed. Large beautiful newly renovated Deck and 2 bikes furnished. Beautiful Artistical Bathroom with detailed tile work and separate small flower filled balcony. New Shower Filters for Healthy Bathing. Melodie is such a wonderful host and her home is charming. I stayed here for three nights on my own and my mother joined me on the fourth for another week. She even treated us to local blood red oranges from her favourite farmer's market - the last one we ate just before coming through customs back to Canada! We felt very at home and the availability of bikes were one of our trip highlights. Thanks again for the great hospitality and I hope your chocolate mint flourishes this spring! I stayed in this apartment for two months when I arrived in LA, and it really is a home-from-home. Melodie is so helpful, and you are provided with everything you need. I slept so well in the bed, that I wanted to take it with me. The apartment is a little quirky in decoration, but in a good way, and I think that helps in making you feel so relaxed and at home. And the balcony out front gets the sun for most of the day, making it a perfect place to relax or eat. I really can't fault the apartment, or my dealings with the owner. The whole experience was pleasurable from start to end, and I miss it already! Lovely place to stay for short or long periods! Me and my husband have been at Melodie's house for a little more than two months and we had such an awesome time there. From the very beginning we felt like home since the apartment is really cosy and well furnished of everything you might need in your home, from kitchen stuff to towels, linens and wi-fi internet. Location is also excellent at just one block from to the beach and Venice colorful broadwalk, and at walking distance from trendy Abbot Kinney Blvd, Main st restaurants, shops and gyms. And on top of this Melodie has been so lovely and friendly with us that we surely will stay there again if we go back to Venice Beach! I am glad you stayed here. The "timeline" worked perfectly!!! I hope you get a chance to come back. I stayed here over New Year's Eve and had an amazing time. The owner was wonderful at communicating and provided everything needed for our stay including clean towels, more than enough cookware/utensils, and wifi internet. The house is larger than the pictures show and could comfortably fit 4 people with leftover space. 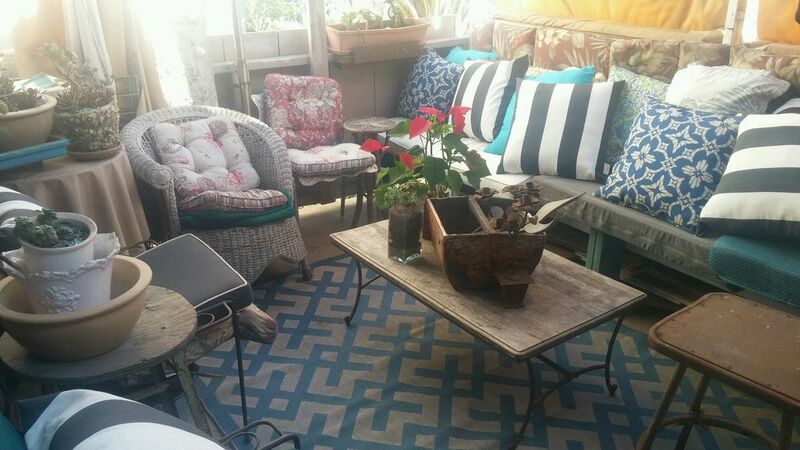 The balcony is great, and location is within walking distance to Abbot Kinney Blvd, Santa Monica, etc. I would definitely stay here again! Excellent apartment located 1 block from the beach and at the end of the trendy Abbot Kinney blvd. A must for those who want a relaxed and cool break. The Flat is really comfortable... we really enjoyed the sun deck! It makes me happy when Guests enjoy staying at My Beach House. Walk or bike to many Attractions. 1 Block to less crowded Beach due to no parking lots here. 3 blocks to Trendy Artsy Abott Kinney's Fine Dining, Bars, Art Galleries and Boutiques. 3 blocks to World Famous Gold's Gym. 1 1/2 mile to Santa Monica Pier. 1 1/2 mile to 3rd Street Promonade. 4 Farmer's Market located within 1 1/2 mile. Watch the local Surfer's rip it in the Pacific or catch the Dolphins play! 4 blocks to Main Streets attractions too! rate is for up to 4 guests max Holidays add 10% monthly Rate includes once a month Maid Service and all utilities except phone and gas First, last $1500 security deposit for monthly's $500 security deposit for less than 1 month 14% tax 150 cleaning fee Homeaway.com/164557 2 Bedroom 2 Bath also available.